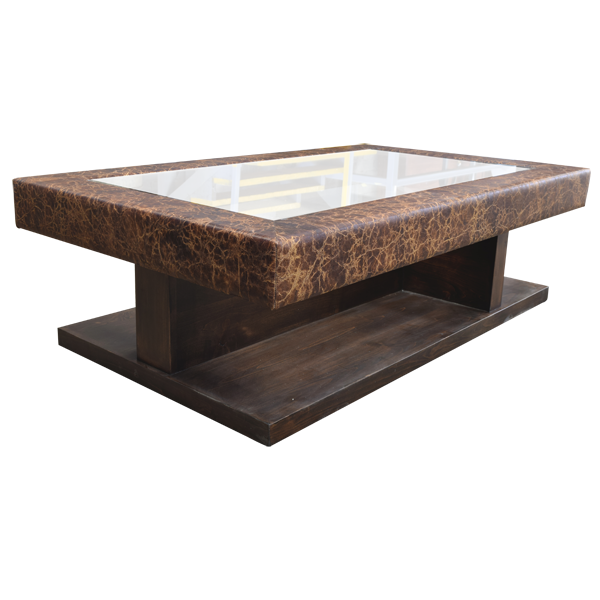 The combination of glass and the luxuriously, finished wood on this exquisite, handcrafted, Western style coffee table create a gorgeous design. 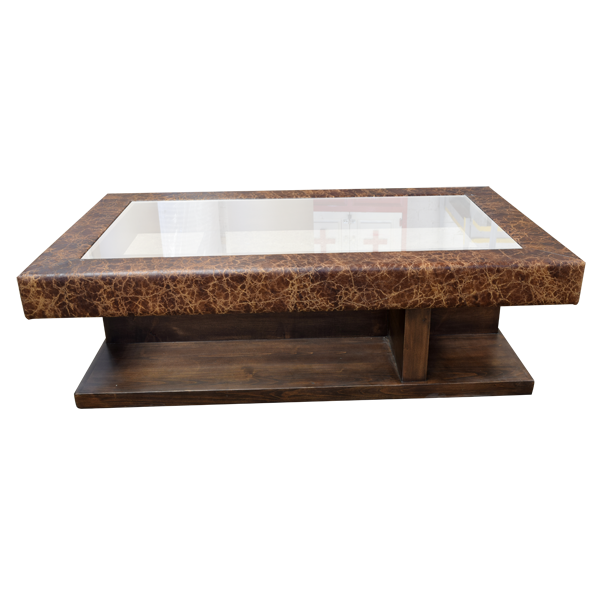 The coffee table has a wide, rectangular top, and the top features a luminous, rectangular glass panel with beveled sides. 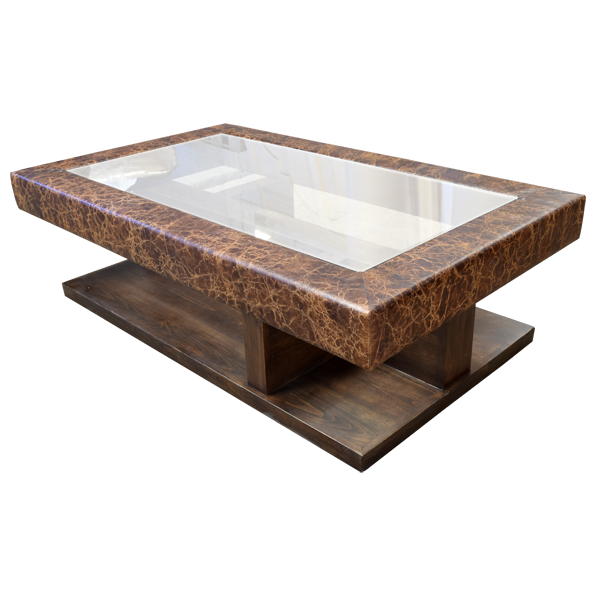 The glass panel is bordered by rich, patterned, full grain leather, and the leather also covers the sides of the top. The top is supported by a solid wood, “T” shaped base, and the base rest on a beautifully finished, solid wood panel. 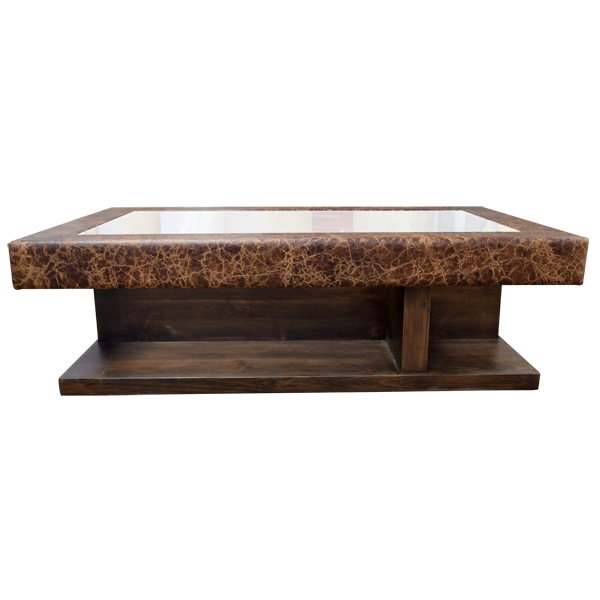 The coffee table is made with the best, sustainable, solid wood available, and it is 100% customizable.